The Boys In Blue looked to continue their winning ways despite a destroyed rotation, but the Braves had other plans, defeating the Dodgers, 5-3. 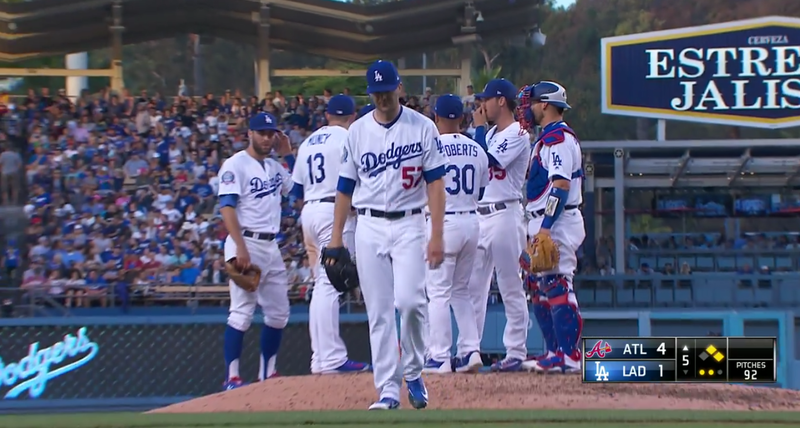 After a successful start to the year, Alex Wood has struggled in his previous two starts, surrendering 11 runs in just 7.1 innings. He was looking to get back on track against his old team, but instead labored through 92 pitches in 4.2 innings. A Logan Forsythe error led to two unearned runs, but he did give up two more that were earned, likely due to the nine hits he surrendered. While he walked nobody and struck out six, he just couldn’t strand runners today and it cost him dearly in the end. Meanwhile, Anibal Sanchez started for the Braves and he’s a diminished version of his previous self, as his lowest ERA the last three seasons was 4.99. Things started well, as Max Muncy donged his 11th in the 1st. The Dodgers eventually got a second run in the 5th, as Yasiel Puig singled and Joc Pederson blooped a one-out double into left center to set the table for a Forsythe run-scoring ground out. However, that was all the damage they would do against him in 5.1 innings before the pen took over, which has to go down as an upset. 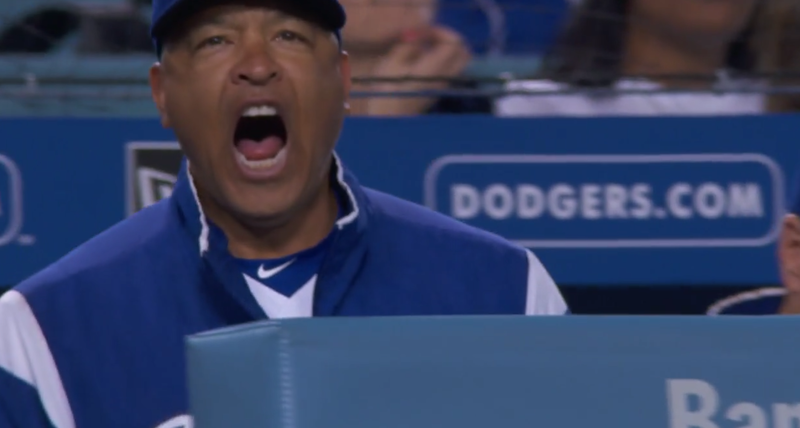 The beleaguered pen of the Dodgers continued to … well, do their best. Yimi Garcia gave up a hit but got out of the 5th without further damage for Wood. Pedro Baez then got the 6th in 1-2-3 fashion including a strikeout. Scott Alexander continued his maddening inconsistency in the 7th, as he gave up a double, a single, and a single to the first three batters of the inning for a run to make it 5-2, and then proceeded to record a strikeout and induce a double play to end the threat. I dunno. The bats managed to get the run back in the Dodgers half of the 7th with a bit of luck, as Puig led things off with a bloop double down the right-field line. He eventually advanced to third with two outs, and then scored on a wild pitch to get the lead back down to two runs at 5-3. 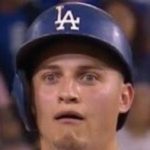 Edward Paredes started the 8th for the Dodgers, recording two quick outs before surrendering a triple off the wall in center. Daniel Hudson was then summoned to get out of the mess and he did so with a strikeout. Daniel Corcino then made his debut for the Dodgers in the 9th, getting a 1-2-3 inning, which basically makes him the setup man now. Unfortunately, the offense couldn’t get anything across during the final two frames despite putting men on base, and that was it. With the loss, the Dodgers fall back to 32-32, as well as three games back of the Diamondbacks in the NL West. The Dodgers will look to continue their streak of not dropping series in the rubber match tomorrow against the Braves at 10:10 AM HST/1:10 PM PST/4:10 PM EST. Ross Stripling will look to continue his outstanding year against Sean Newcomb, who provides a formidable opponent for the Dodger bats.